"Ken Mekelburg recently performed a home inspection and radon testing assessment on our new home. We are so pleased with the thoroughness of his inspection and the timely, detailed report. Highly recommend the services provided by Ken Mekelburg and Buckhorn Home Inspection and have shared our experience with several neighbors." "Ken was extremely thorough and professional. I would definitely recommend using Buckhorn's services." "Great service, highly recommend! Affordable, thorough, and professional." "Ken is a great inspector. We highly suggest him, he goes through everything with you and answers all your questions!" "Ken is the best! He is very professional and I appreciate his thoroughness in inspecting the home my family is purchasing. Ken stayed in constant communication with me through out the process. He even shared some resources with me about maintaining a home. Excellent service!" "As first time home buyers, the role of an inspector is undeniably important, and even with as much research as we could have done, nothing compares to the feedback, commitment to detail, and thourough inspection that was performed by Ken at Buckhorn Home Inspections. I don’t think I have ever written a review with so much gratitude- Ken found so many small but costly issues in the house we are under contract with, including safety concerns and small details hidden by beautiful renovation and new appliances, which lead us to hire a licensed electrician who estimated thousands ($6k+) in repairs. Ken was so meticulous, and stayed at our house for 4 hours carefully surveying all things that we would have never considered. I am beyond grateful, and would recommend Ken to inspect anyones new home." "Ken is a true joy to work with and takes the time to explain all the little details of your new home. " "Ken was awesome!! His inspection was very thorough and he explained things very well. The reports that he provides are very detailed and very useful. 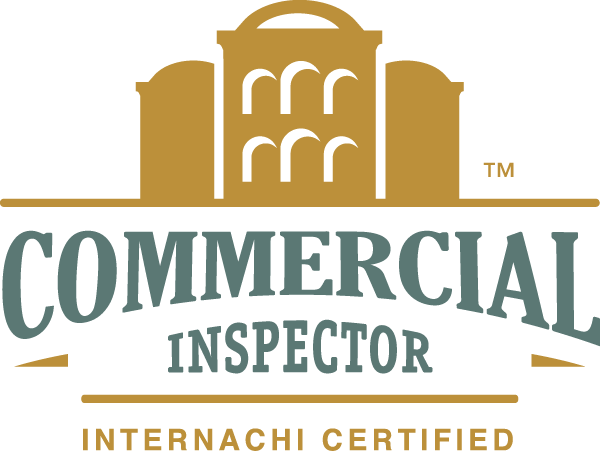 We highly recommend using him for your home inspection needs!" "It is my pleasure to write this review for Ken. He was absolutely fantastic. His inspection of the home that we are purchasing was extremely thorough and complete. In addition, he is very knowledgeable of all things "home". I most highly recommend him!" "Ken with Buckhorn Home Inspections was a pleasure to work with. He provided a thorough report and did a great job of explaining the issues he found (and how serious they were). The company also offered a service where they monitor if any of the appliances have been recalled, which could provide great savings in the long run (we probably would never otherwise check appliance recalls). We highly recommend Ken and Buckhorn Home Inspections!" "Ken with Buckhorn Inspections was great and exceeded our expectations. Ken took the time to explain the process and did a very thorough inspection. I highly recommend Ken and Buckhorn Inspections." "Ken Mekelburg was extremely thorough and detailed in his home inspection work for us. He was also very accessible for questions and glad to provide helpful explanations for things we didn’t fully understand about the construction and proper maintenance of the house we were purchasing and its various systems. His report, illustrated with photographs of each discussion point, had two parts to it: a brief summary of the most important issues to note about what needed our attention before finalizing our purchase agreement, and a much longer, more detailed and illustrated report, covering every aspect of the house. This will serve as a helpful resource for years to come. Ken’s years of experience as a general contractor and his overall helpful nature gave us great confidence in making the huge decision of purchasing a home." "Ken was very efficient and professional! He did a great job and we would be happy to refer our friends and family!" 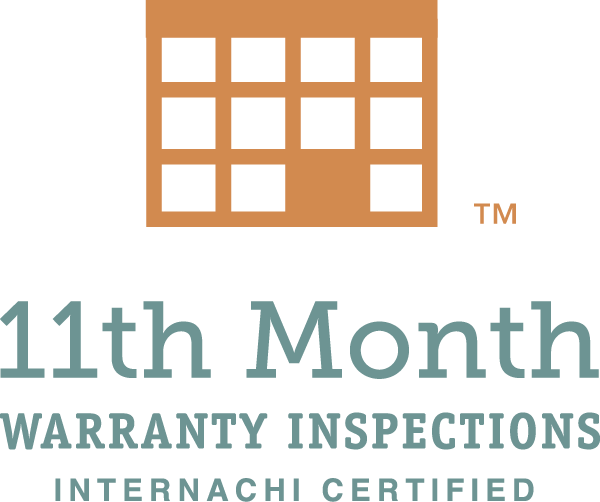 "We needed a home inspection before our year warranty expired on our new home. We contacted 3 home inspection companies and we decided to go with Buckhorn Home Inspections because of the professionalism and the price. Ken was very detailed with our home inspection. He provided an easy to read report of our inspection the next day! Strongly recommend Buckhorn Home Inspections!" "Ken did an extremely thorough inspection, and provide a very detailed report. Ken is professional, timely and a pleasure to work with. Highly recommend!" "Ken is a very knowledgeable person! As a first time home buyer, my partner and I were very happy to have worked with him! He taught us so much going through the inspection process, and that knowledge is power! We definitely refer Buckhorn to anyone needing an inspection. Ken did an impeccable job! Thank you so much!" "Ken was very knowledgeable and very helpful during the inspection. He was thorough and articulate. I would highly recommend Buckhorn Home Inspection!" "I have had the honor of working with Ken on several home inspections. He is honest, respectful, and his attention to detail is superior. The customer service he provides clients is second to none! Ken with Buckhorn Inspections is a pleasure to do business with. THANK YOU KEN!" "Ken did an awesome job inspecting my house. His report was very detailed and complete. He also provided references to different maintenance services and companies in the area. I would recommend Ken again and again." "Ken Mekelburg CPI, provides a superior service. His inspection was detailed, thorough, and professional. I definately recommend Buckhorn Home Inspections!" "Ken was a great inspector! He came recommended and for good reason. He took his time throughout the process. He explained things that needed explaining and answered our questions. He knows what he is talking about. A few days after the inspection, I followed up with a phone call and he answered my follow-up questions too. He was great! I'd recommend him to anyone who wants a thorough and qualified inspector. He also has a few good stories about Kentucky!" "Ken is phenomenally kind and helpful. He did a very thorough inspection in a reasonable amount of time, thoroughly explaining all the defects that he called out in his report. In addition, he made sure that I knew where important things like the main breaker and the water shutoff were located. Ken goes above and beyond to help his clients. Highly recommended!" "Ken Mekelburg with Buckhorn Home Inspections did a fantastic job. He was very professional, did everything we asked of him. He did it timely, at the agreed upon price and did a great job detailing the entire house inside and out. I would highly recommend him to anyone in the market for an home inspection". "Ken was very friendly and very thorough. He did a great job!" "Ken did a great and thorough inspection. Gave us peace of mind knowing that he took the time to do the job right." "Ken was great to work with. Very friendly and professional on the phone, did everything he said he would. Performed a very thorough inspection of our property and promptly provided the inspection report. Explained his processes and what he was looking at and for to the buyer. Will definitely use Ken and Buckhorn Home Inspections the next time we need an inspector, and will be happy to refer others to him!" "Excellent inspection service. Ken Mekelburg was wonderful to work with, our Clients liked him as he was very thorough and friendly. Great customer service and follow up communication." home inspector I have worked with. My husband and I highly recommend Ken!" "Ken does a wonderful job inspecting homes. He is very thorough and easy to communicate with." "I was very pleased with my home inspection. I will definitely work with Buckhorn Home Inspections again in the future." "We struck gold!! Ken from Buckhorn put us at ease right away. He is very knowledgeable and professional, but also easy to talk to. His radon testing and home safety inspection was very thorough. Ken was on time, respectful to our questions, and even made recommendations for us to pay attention to for the future. He really listened and put our minds at ease about concerns we had about our basement. He's detail-oriented, and noticed some things we hadn't in our kitchen. Ken gave us great tips for saving us money and time. He knew what was a problem and what wasn't. My husband and I feel like we've found the best inspector there is! Our report was done in a short time and it was specific and detailed. Reasonably priced too. We give Ken our highest recommendation!" "By far the best and most thorough home inspection I have ever had. Ken was getting in everything and paid attention to every tiny thing. My husband and I could not have asked for a better inspector. The inspection report was done in less time than he told us, and it was incredibly detailed. We would highly recommend Ken!" "Buckhorn did a great job at our home and I was thoroughly impressed with Ken's knowledge and services. I have and will continue to recommend Buckhorn Home Inspections to everyone. I would give 6 stars if I could!" "So pleased with the very thorough inspection we received! Ken was able to schedule immediately and provided a clear explanation of his findings accompanied by photos. He is very professional and followed up after the inspection to see if we had additional questions." "A very thorough and quality inspection. The inspector (Ken) was very polite and kind, as well as knowledgeable and open to discuss any issues he was seeing. Thank you!" "If it is there, Ken will find it! He is a good man, and thorough. He is very knowledgeable with construction and he will answer any questions. Worth every penny." "Ken from Buckhorn was more than thorough during our inspection. He was noticeably considerate about the house and vocal about the red flags that he found. Besides doing a great inspection we found him to be polite and pleasant to work with. Would highly recommend his services with Buckhorn." "As a Realtor, it is important to work with people that are experts in their craft. I am impressed with the work that Ken has done for me. He is quite thorough and is a true professional. If you want the inspection done right, call Ken!" "We had Ken from Buckhorn inspect our new home. The inspection was very thorough and informative. They provided us with a great itemized list of the entire house, which was both a great negotiating tool and a checklist for us to improve our home in the future. We strongly recommend Buckhorn Home Inspections for your next Real Estate purchase." "Reliable and expert knowledge to the inner workings of home inspections - I finally felt like I got my moneys worth when it comes to inspections!" If you would like to leave a testimonial or review, please go to the contact page to leave your message. To write a Google Review click here.